The 2017 Nissan GT-R is already an expensive premium sports car, but it won’t drop in value as much as others. With a starting price tag of $109,990, it doesn’t come cheap, but owners can take comfort in the fact it won’t drop in price quickly. According to ALG, in the premium sports car segment, the 2017 GT-R will retain it’s value better than all other high-performance sports cars. For 2017, GT-R got a huge bump in price, but it gets lots of improvements over the outgoing model. 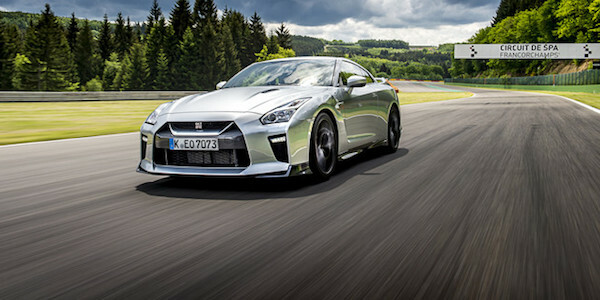 With its 600-horsepower turbocharged 3.8-liter V6 high-performance engine it’s a top performer on the track. Now it’s recognized for doing something slow. The annual ALG Residual Value Awards recognize vehicles in a range of segments that are forecast to retain the highest percentage of the original Manufacturer's Suggested Retail Price (MSRP) after a three-year ownership period. If you do buy, or more importantly lease, a new 2017 Nissan GT-R performance car, you can take comfort in the fact it won’t depreciate as fast as other premium sports cars. It will go fast and drop in price slow.